3.1 Copyright (c) 2018 Fashion Travel Accessories Limited. 4.3 You must notify us in writing immediately if you become aware of any unauthorized use of your account. 4.4 You must not use any other person’s account to access the website unless you have that person’s express permission to do so. 5.5 You are responsible for any activity on our website arising out of any failure to keep your password confidential and may be held liable for any losses arising out of such a failure. 6.1 The full content that is published on this website including but not limited to graphics, code, a text is copyrighted under copyright laws and is completely the sole property of Fashion Travel Accessories. 6.2 Copyright, 2018, Fashion Travel Accessories. All Rights Reserved. 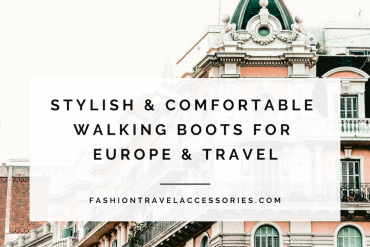 Your permission is granted to electronically copy and print a hard copy of the content of our website for the sole purpose of placing your order with Fashion Travel Accessories. 7.1 By placing and confirming your order on Fashion Travel Accessories website you have agreed to our Terms and Conditions as explained on this page. 7.2 In order to make purchases on https://fashiontravelaccessories.com you will be required to provide your personal details. In particular, you must provide your real name, phone number, e-mail address and other requested information as indicated such as your Credit Card details. Furthermore, you will be required to provide payment details that you represent and warrant are both valid and correct and you confirm that you are the person referred to in the Billing and Shipping information provided. 7.4 A contract between the customer and Fashion Travel Accessories for the sale of our products will only exist once an order has been accepted, processed and despatched, at which point the buyers’ credit/debit card will be charged for the value of the goods despatched. 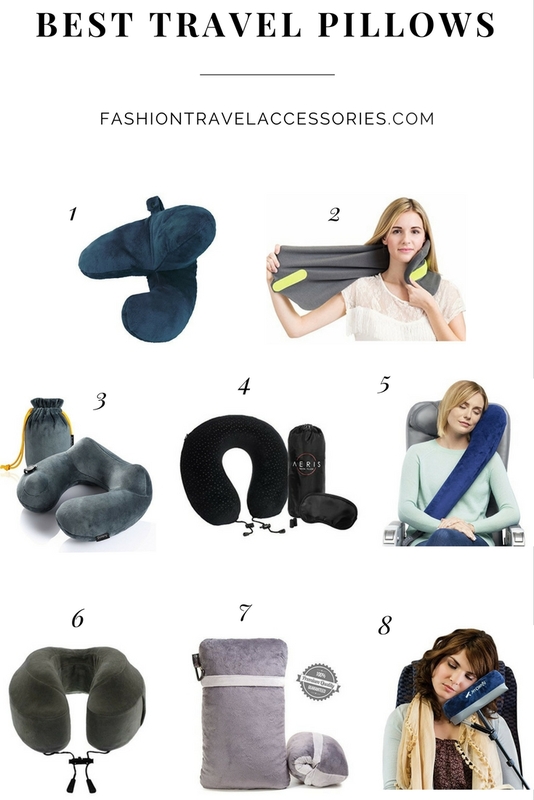 7.5 Fashion Travel Accessories reserve the right to cancel any order at any time providing no payment has been taken or if we suspect any fraudulent activities. 9.1 We reserve the right to make changes to our prices and availability of products and other to the other content of this website, at any time without notice. 9.2 While we do our best to ensure that product descriptions on our website are accurate, some inaccuracies, typographical errors or misinterpretations may occur. We reserve the right to correct such inaccuracies or typographical errors as they are identified without Fashion Travel Accessories. being held accountable for such inaccuracies or errors. 10.1 Prices shown on the Site are in US Dollars. 10.2 All prices indicated on https://fashiontravelaccessories.com website do not reflect any or all of the international duties, taxes, or other customs charges that the package may encounter when it arrives in its final destination. 10.3 Please, we encourage you to contact the customs agency officials to find out of all applicable taxes and duties (if any). Those charges vary greatly from country to country and will not be covered by Fashion Travel Accessories. 11.1 Your financial & identity protection is our most important priority. That is why we process all payments through eWay’s robust, safest, secure and reliable online payment gateway that uses Secure Socket Layer (SSL) technology, which makes it really easy for you to pay by credit card payments from anywhere and from any device. We also process payments through PayPal, which is one of the safest & most secure payment processing systems in the world. 11.4 We will not store your credit/debit card details on our systems as eWay and PayPal process it independently of Fashion Travel Accessories. eWay and PayPal ensured all transactions will be fully encrypted and only used to process card transactions, which you have initiated. To help ensure that your shopping experience is safe, simple and secure Fashion Travel Accessories, Eway and PayPal use Secure Socket Layer (SSL) technology. 12.1 Promotion codes are non-transferable and there is no cash alternative. Furthermore, they cannot be used in conjunction with any other promotion code or offers and must be redeemed by the date published, if provided. 13.1 Please feel free to contact us by email at info@fashiontravelaccessories.com if you have any further concerns with, or do not understand our Terms and Conditions. We appreciate your effort and consideration and would welcome your advice, opinion and queries to improve our service. We will try our best to make every effort to address and resolve concerns that may arise and we will always respond within 24 hours. 14.1 Fashion Travel Accessories does not seek to exclude or limit liability for death or personal injury arising from its negligence or that of its member’s agent’s directors or employees or for any fraudulent misrepresentation. 14.2 To the fullest extent permitted by law and save as provided above, neither Fashion Travel Accessories, nor any associated company shall be liable to you by reason of any representation, or any implied warranty, condition or other term, or any duty at common law, or under the express terms of the contract, or in negligence (whether on the part of Fashion Travel Accessories or any of its members, agents, directors, employees or otherwise) for any indirect special or consequential loss or damage (including but not limited to loss of profit or loss of saving), costs, expenses or other claims for compensation whatsoever which arise out of or in connection with the use of this website, the supply of the products or their use or resale by you. 14.4 While Fashion Travel Accessories uses reasonable endeavors to ensure that the information on this website is accurate and up to date, it does not give any warranty as to its accuracy or completeness and Fashion Travel Accessories will not be responsible for any errors or omissions or for the results arising from the use of such information. 14.5 While Fashion Travel Accessories takes all reasonable steps to ensure a fast and reliable service, it does not guarantee that your use of this website will be interruption or error free and will not be responsible for any disruption, loss of or corruption of any material in transit, or loss of or corruption of material or data when downloaded onto any computer system. 14.6 Further, Fashion Travel Accessories will not be responsible nor liable for your use of any other websites which you may access via links within this website. Fashion Travel Accessories does not control these websites and is not responsible for their content. Any such links are provided merely as a service to users of this website and their inclusion in this website does not constitute an endorsement by or affiliation with Fashion Travel Accessories. 14.7 The entire liability of Fashion Travel Accessories under or in connection with any contract for any products to which these conditions apply shall not exceed the price of the products, except as expressly provided in these conditions. 14.8 Fashion Travel Accessories will not be liable to you or be deemed to be in breach of the contract by reason of any delay in performing, or any failure to perform, any of its obligations in relation to the products ordered by you if the delay or failure was due to any cause beyond its reasonable control. 14.9 Fashion Travel Accessories may assign or transfer any of its rights or sub-contract any of its obligations under these terms and conditions to any third party. You may not assign or transfer any of your rights or sub contract any of your obligations under these terms and conditions except with the specific permission in writing of Fashion Travel Accessories.